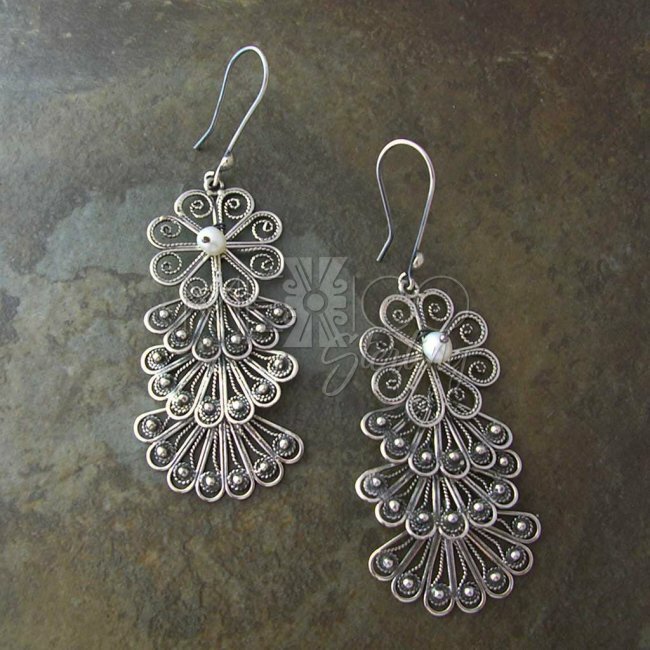 Filigree Potpurri Mexican Silver Earrings [EAR3215] - $125.00 : Mexico Sterling Silver Jewelry, Proundly from Mexico to the world. Dimensions: W: 1" L: 2 3/4"
Lovely and classic all the way. 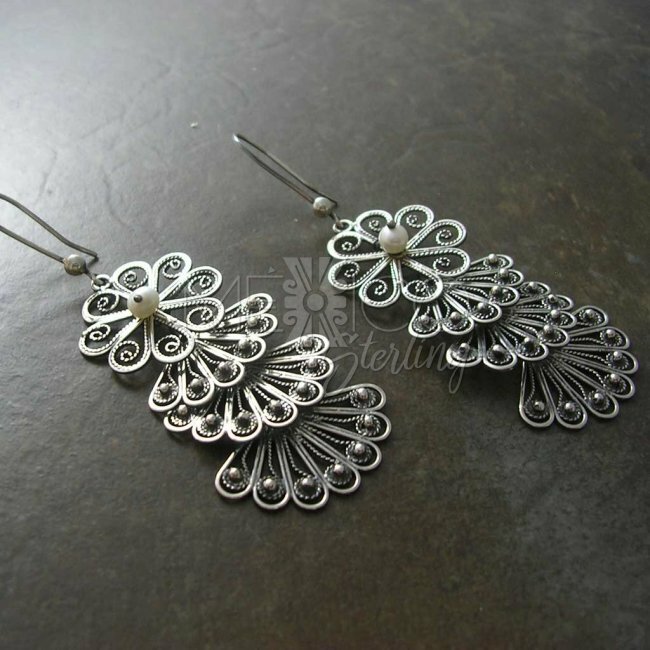 These gorgeous sterling silver long earrings are just phenomenal, please take a look at all the details on these pieces of jewelry. The filigree work on the is just flawless. Nice, curvy lines, each handled carefully and set up on the right spot to give life to these incredible artworks. 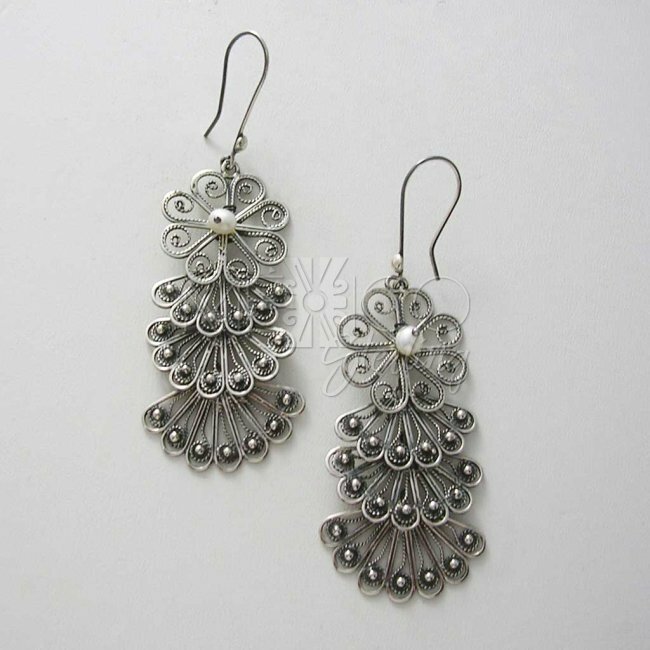 Filigree work has always been a favorite within silver jewelry collectors, or people who understand of jewelry making process and the difficult techniques and time consuming, that this kind of work takes. 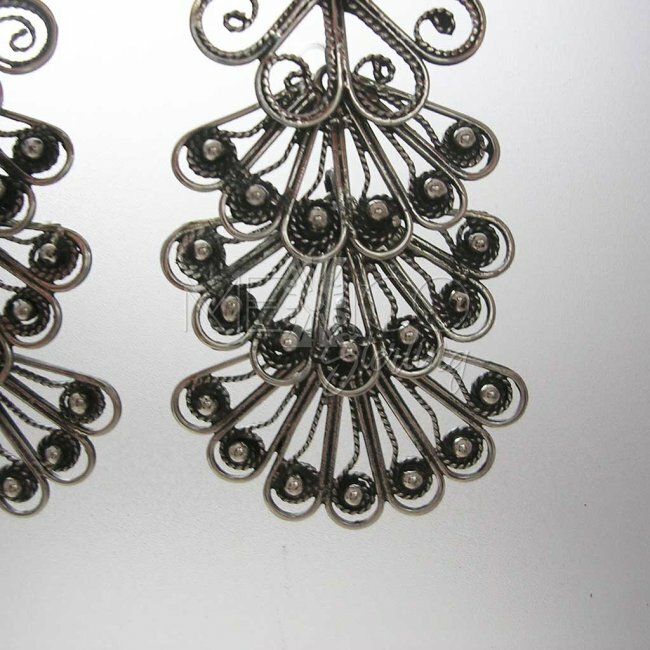 These silver earrings show an impresive use of this technique, reminding me of a spectacular peacock. 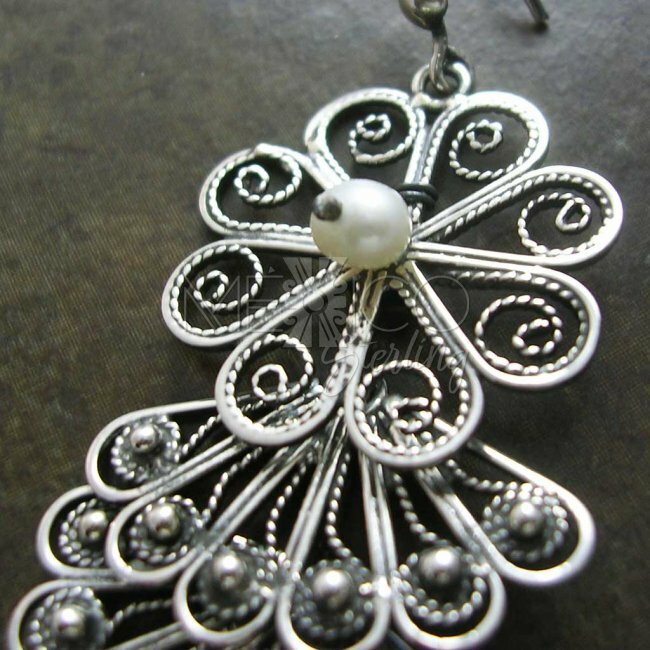 I would like to add that each earring carries a natural pearl, at the centerpiece. 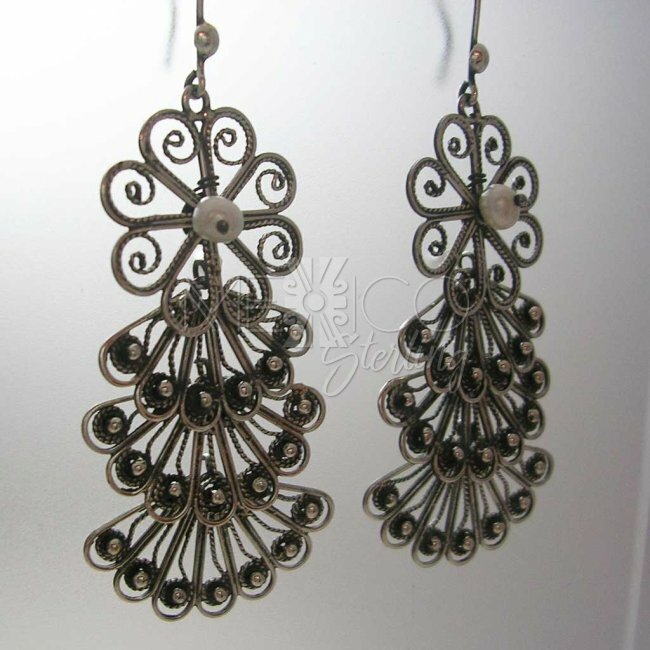 They are also handcrafted with excellent workmanship and beautifully finished. Please take a look at the additional photos for more details on these pieces of jewelry.